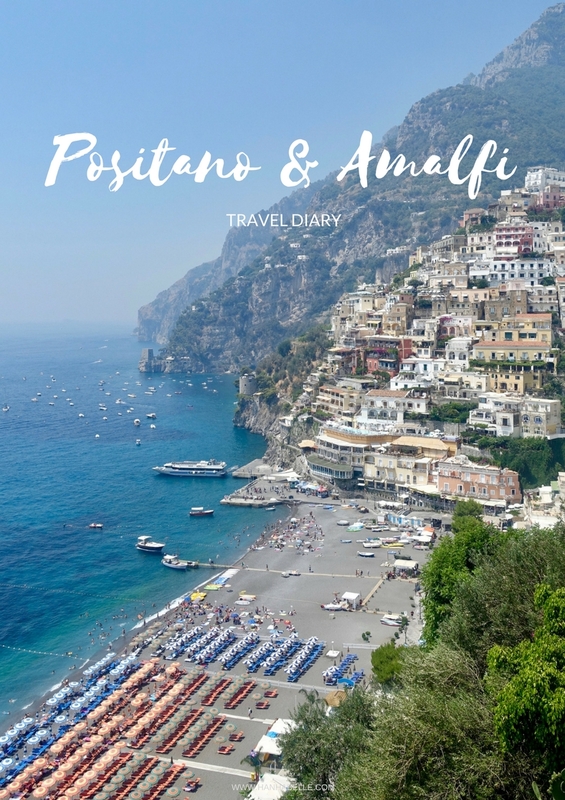 The dream would have been to stay in Positano but the accommodation is very pricey, so after a bit of research we decided to stay in Sorrento and travel to the Amalfi Coast from there. I didn't expect to fall in love with Italy but it's hard not too! 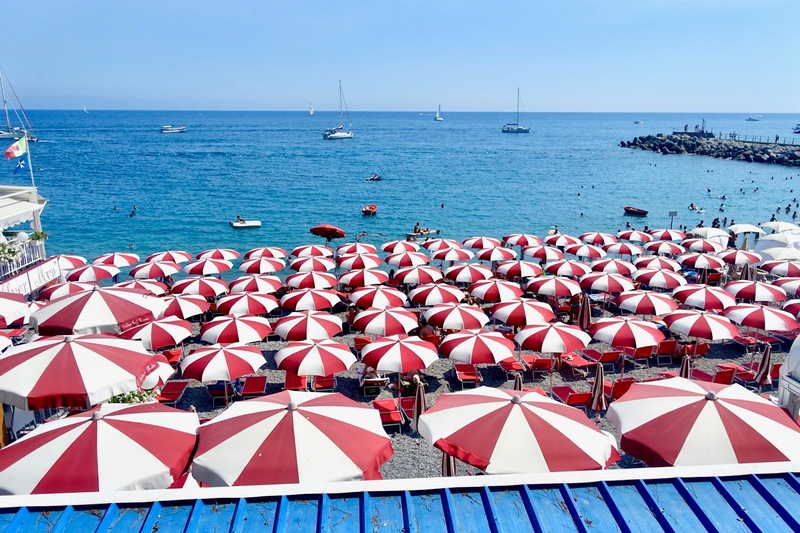 After an hr boat trip from Sorrento, we stepped off the boat and were hit with the sparking blue waters, cascading cliff side buildings and brightly coloured beach umbrellas. The scenery was mesmerising! July and August are the busiest times to visit so expect lots of people every corner you turn. 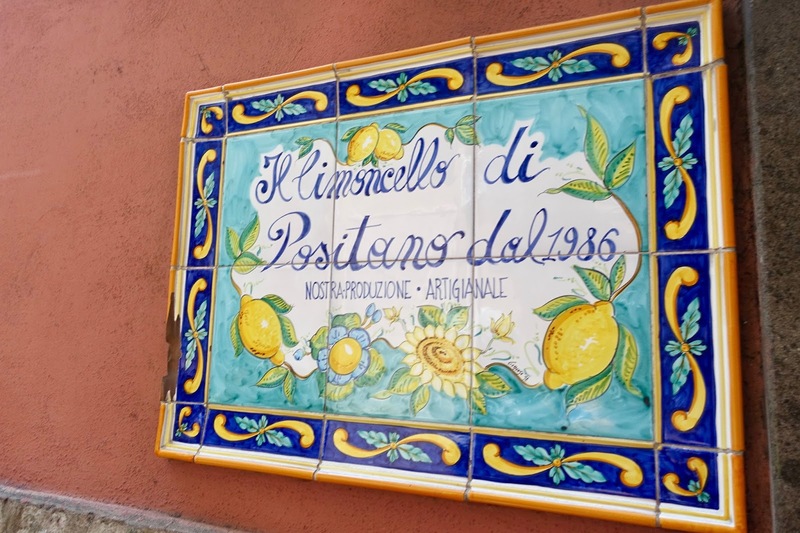 We had a few hours to explore before our boat left so we strolled through the streets and soaked up this beautiful Italian town. 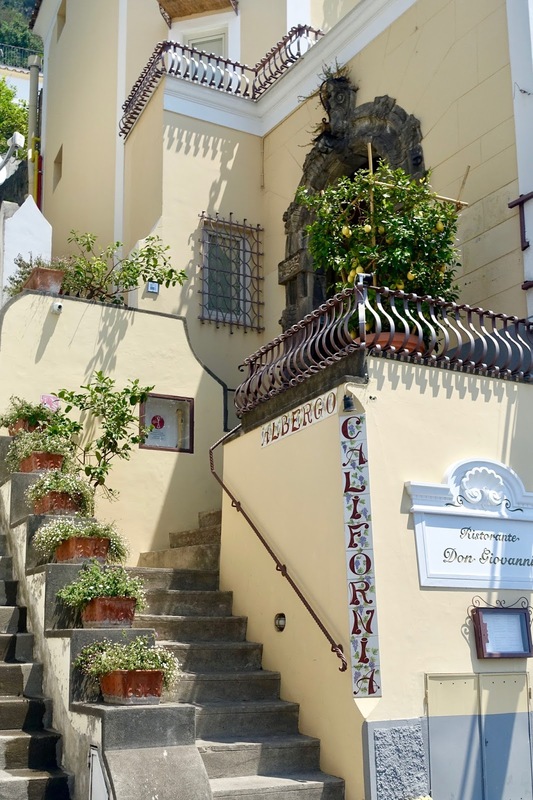 The narrow streets are lined with cafes, shops and galleries. 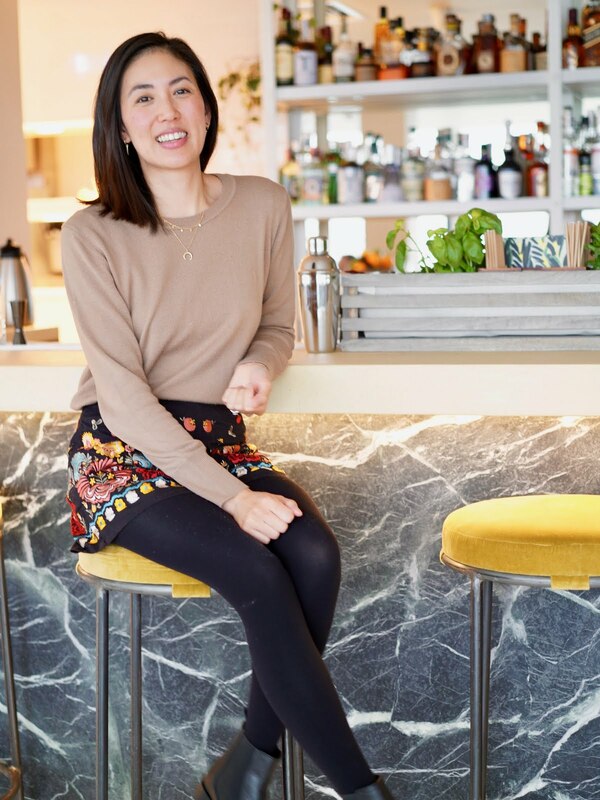 You can shop for lemon designed trinkets, clothes and art work. 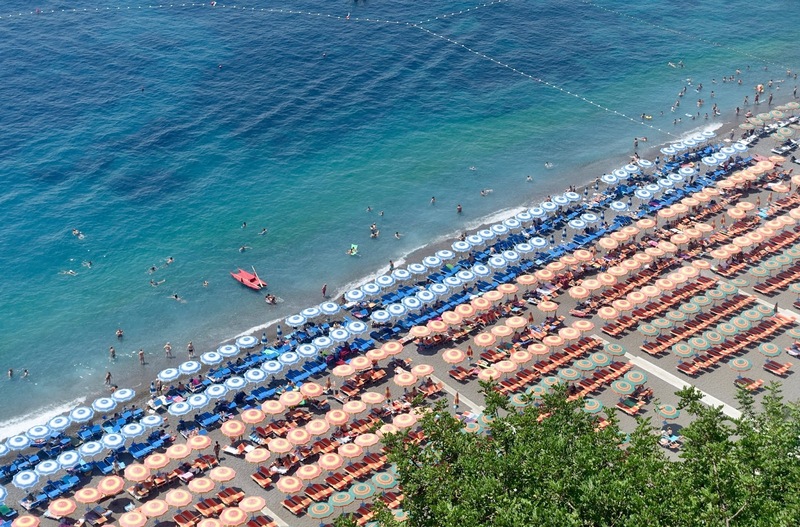 There are beach front bars to enjoy a drink and slice of pizza or enjoy a meal from one of the cliff side restaurants. 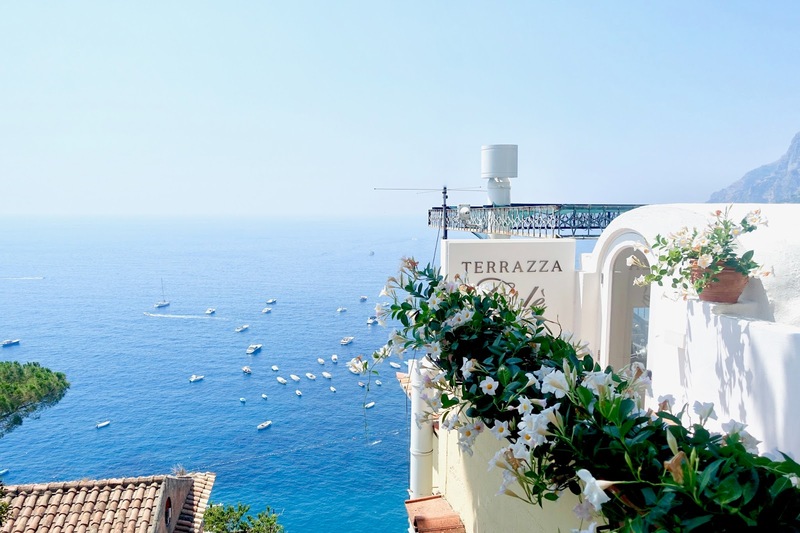 You can go visit and admire the Church Of Santa Maria Assunta and walk up the winding streets to take in the amazing views. 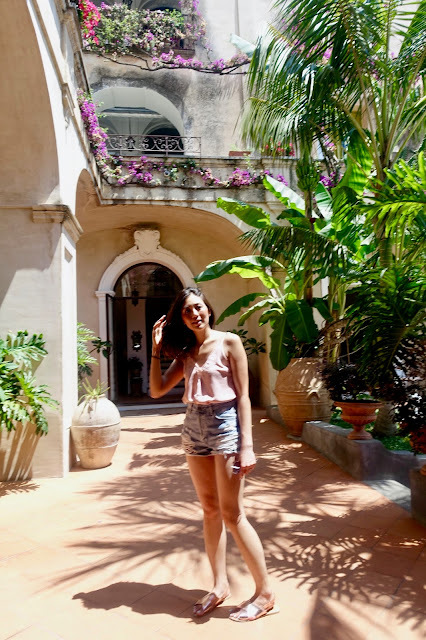 It was so dreamy to walk around and see all the pretty flowers and lemon trees. 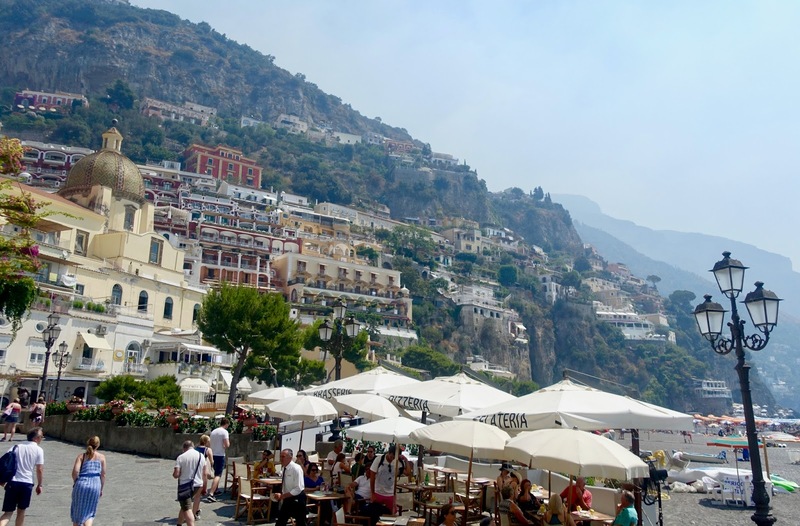 Positano has a quaint and chic vibe, with the boutiques and hotels but not as upmarket or luxurious like Capri. Wish we had longer to explore but it was great to see the sights, even in the scorching heat! 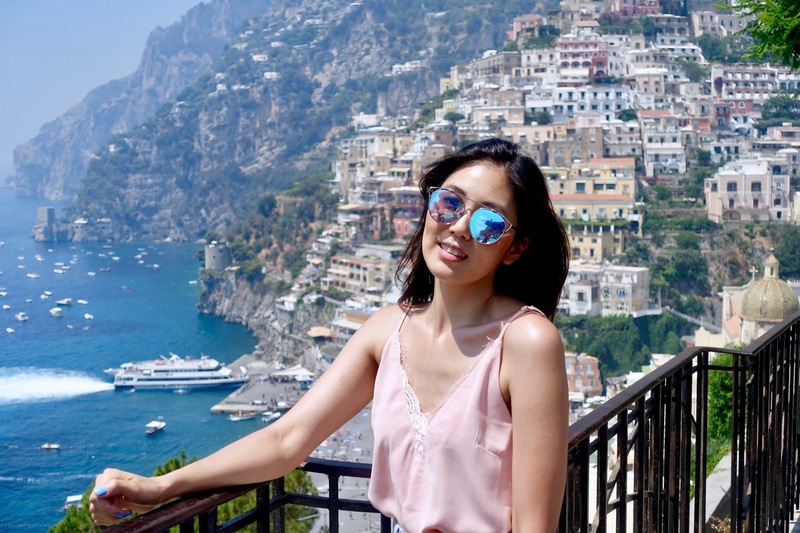 So after a lovely time exploring Positano, we hopped back onto the boat and sailed down to Amalfi town. As the boat came it, we took in the view from the sea and started exploring the side streets. 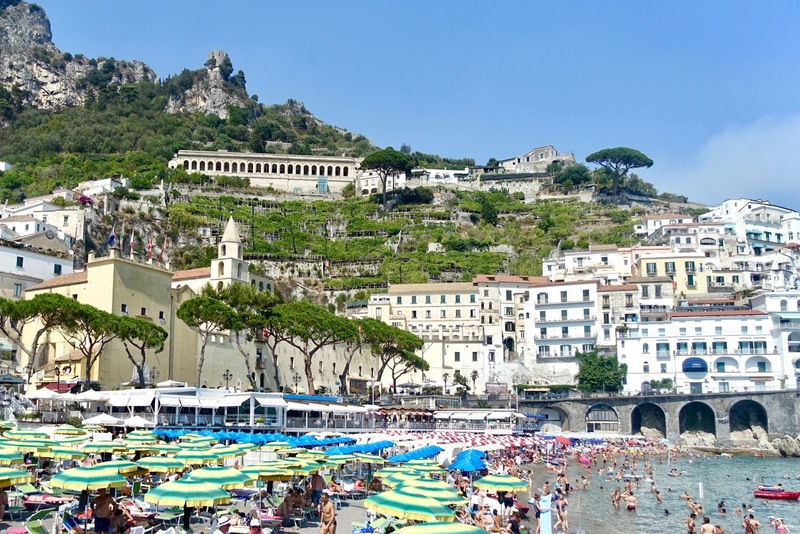 From my first impressions, Amalfi has a more old town, charming feel to Positano. 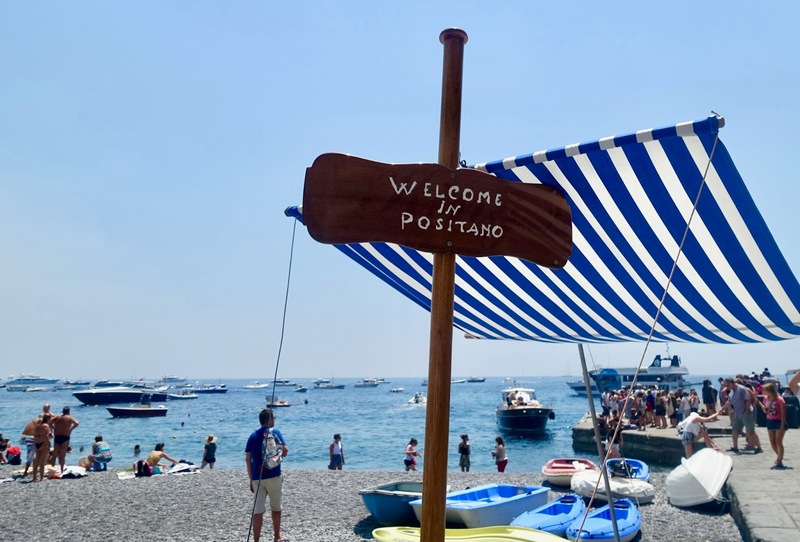 It's still picturesque but Positano has a more pretty and buzzy vibe. 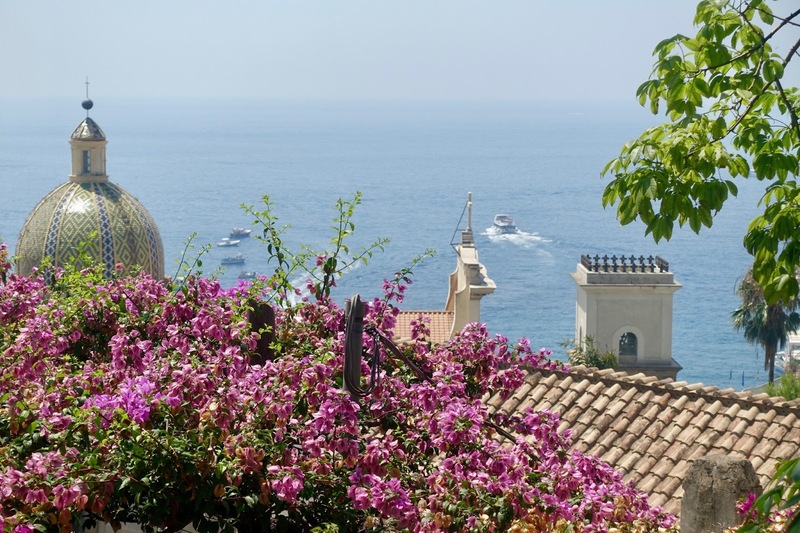 I can imagine it would be calmer to stay in Amalfi and the pace a bit slower. 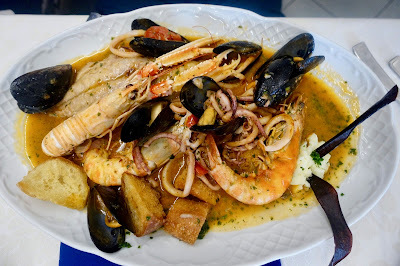 You can't go wrong with the food in Italy and came across this restaurant II Tari, it was very lively and the food smelt amazing! We were very hungry and saw the big portions so we knew we would be satisfied. Hang chose the seafood platter, which had a medley of delicious prawns, mussels and squid. 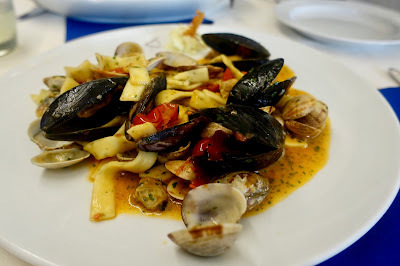 I went for the seafood tagliatelle and it one of the best dishes I've had in a while! The tomato sauce was so flavoursome and rich and the pasta cooked to perfection. If you love seafood, I would recommend dining here. 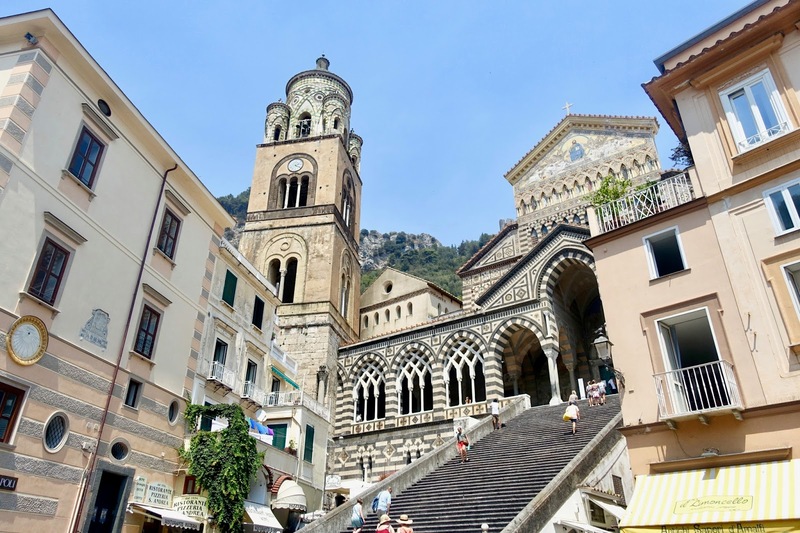 As we emerged from one of the side streets we saw the impressive Cathedral of Amalfi, my jaw dropped it looked so magnificent with the stairs and cloisters. 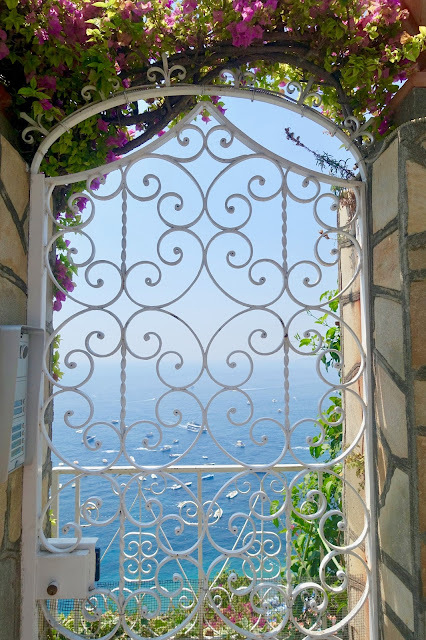 We walked up the steps in the blistering heat and admired the view from the archways. Surrounding the Cathedral are cafes and shops, great spot to grab a gelato or a cold drink and soak up the sights! 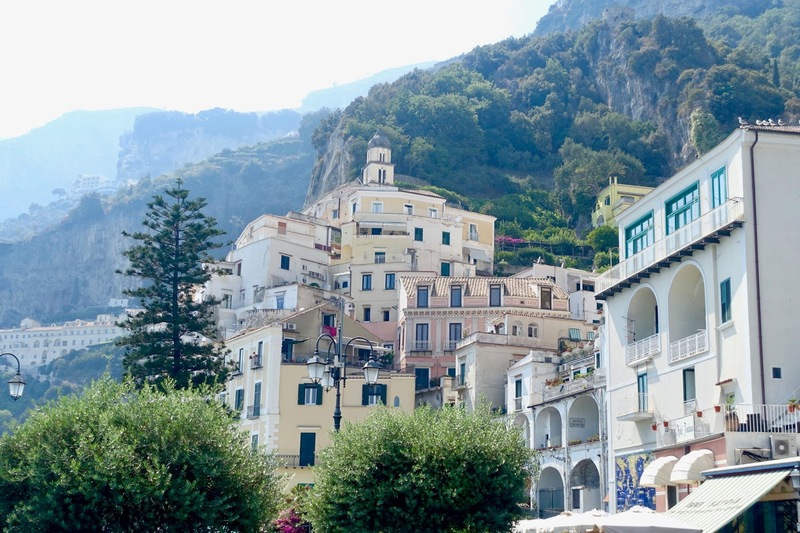 It was a very short and sweet visit to the Amalfi coast and I know there are more towns to explore but I feel lucky to had experienced a slice of this magical place. I can see why so many people love to visit this picturesque part of Italy. I also posted my Italy vlog if you like to watch it :) So in typical UK Summer it's been cold and rainy today. How's your Summer going, let me know what you've been up to!